DESCRIPTIONCome join the AWS Marketplace Team in our mission to change the way software are bought and sold! 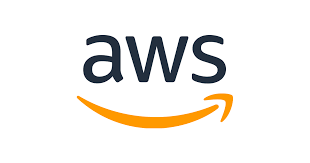 AWS Marketplace enables software sellers to reach all AWS customers; and enables software buyers to easily discover, purchase and consume software. Our goals include enriching the platform to support more diverse selection, improving buyer and seller experience and implementing new ideas to add new dimensions to the product. Our vision is to make AWS Marketplace one stop shop for buying and selling software just like Amazon.com is for retail. We are looking for a Systems Development Engineer to help the team take AWS Marketplace to the next level. As a Systems Development Engineer you will work with a wide variety of technologies and projects that range from third party enterprise solutions to open source and proprietary inventions to solve for the business needs. The ability to build productive relationships with colleagues at remote sites around the world will make you successful in this role as will patience and a sense of humor. You can expect to constantly learn new things and expand your knowledge to meet varying business demands. Primary responsibilities include troubleshooting, diagnosing and fixing production issues, developing monitoring solutions, performing software maintenance and configuration, implementing the fix for internally developed code (in Java, Ruby, Perl or C++), performing SQL queries, updating, tracking and resolving technical challenges. Responsibilities also include working alongside development, updating/enhancing our current software, automation of support processes and documentation of our systems. The ideal candidate will have a demonstrable track record of success delivering new features or products. He or she has design and implementation experience, some knowledge of web services and protocols, and of knowledge of distributed systems architectures. If you have a strong desire to learn, develop and to deliver, we are interested in speaking with you. BASIC QUALIFICATIONS· B.S. in Computer Science, Engineering or a related technical field or 2 years of industry experience. This position requires that the candidate selected be a U.S. citizen and obtain and maintain an active TS/SCI security clearance with polygraph. PREFERRED QUALIFICATIONS· Flexibility, thinking on your feet, and strong problem solving skills. · Demonstrable track record dealing well with ambiguity, prioritizing needs, and delivering measurable results in a dynamic environment. · Creation of baseline metrics and monitoring of service health. · Demonstrated skill and passion for operational excellence. · Development depth in OOP, Java, UNIX, Perl, C++, XML, Web services, and UNIX tools. · Security domain experience strongly desired.